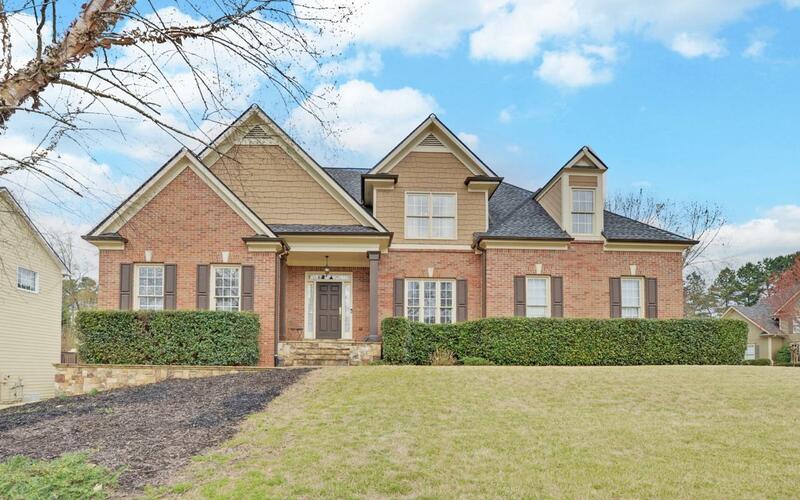 This stunning 5-bedroom 2.5 bath home on a full finished basement is located in the swim and tennis community Daniel Park. Beautifully landscaped corner lot within walking distance of schools. Step inside the 2-story foyer to the large living room with wood burning fireplace. Elegant formal dining room and breakfast area off of large kitchen. Oversized master suite on the main with spacious walk in closet and large study / sitting room. Large bedrooms on the upper level. Lower level has craft room, workout room, bedroom, and large den. 3rd full bathroom plumbed and ready for your design. Outdoor dining on the deck overlooking fenced in yard for privacy. Great location and access to shopping and schools. Listing provided courtesy of Remax Town & Country - Blue Ridge Downtown.